In those boring days with nothing to do my son and I take turns playing on my iPhone the Angry Birds game. When it first came out we got hook on it. It's one of our favorite games. I ask my son awhile ago what he wanted me to make him next and Angry Birds it is. ツ I started searching for patterns. I found all the patterns for every single character in Ravelry. Red Bird --> Free pattern courtesy of Nikki Chavengsub. Piggies --> Free pattern courtesy of Nikki Chavengsub. Black Bird --> Free pattern courtesy of Nikki Chavengsub. Back in the beginning of January I wanted to make myself some fingerless gloves since the weather was really cold and my hands where getting all dry that I was getting small cuts. I search for fingerless gloves and found one that I fell in love with Snugly Mitts Tunisian Crochet (free pattern courtesy of Julia Wardell) but they ended up being to big for my hands. I try to modify it several times but it will still end up to big. That's me with my fabulous new gloves. Remember to click the follow me button. 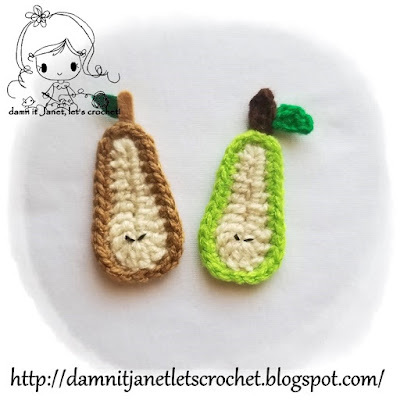 Sew the stem to the top part of the pear. If you like you can use brown felt to create the stem. Finally sew the leaf on one of the sides of the stem. Or you can create a leaf using green felt. 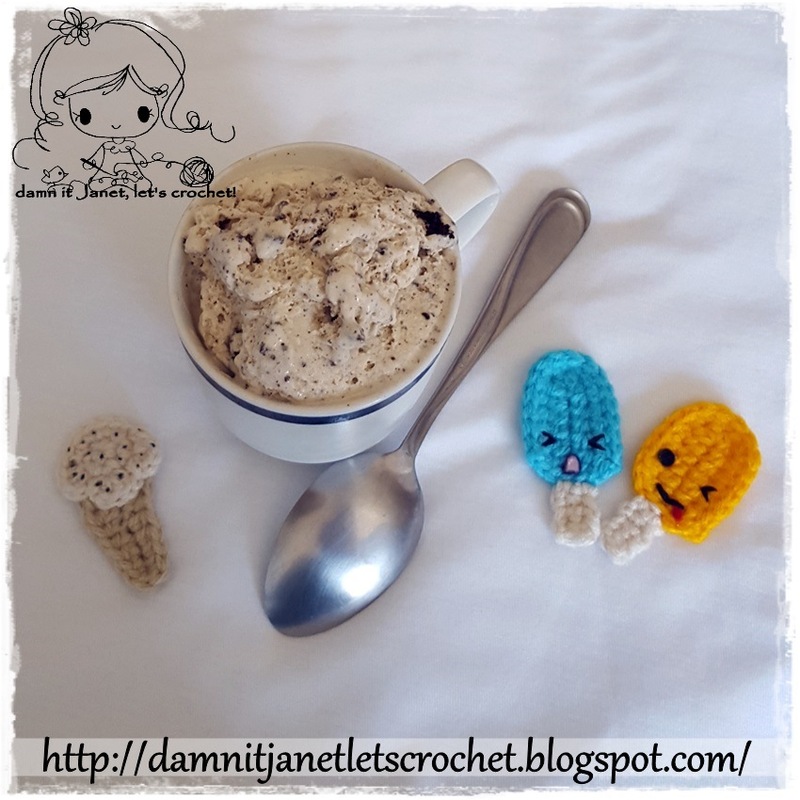 This pattern is an original pattern by Janet Carrillo "damn it Janet, let's crochet!" (April 2012). Please do not claim this pattern as your own. If you wish to share this pattern, you may link to this pattern but please do not reprint/repost it on your site. You may print and keep a copy for your own personal use. Please do not resell or distribute it. Here are some pictures of how far along I come in my cross stitch project. I had a little more time in week 4 since my son is in Spring break and I haven't had alot of homework to do with him. We only been going over the syllables and putting words together. Since he needs to be able to read when he graduates from kindergarten. Anyways, I don't think in my previous post for this cross stitch project I share the link from where I found the pattern; here's the link. As you can see in these images I did a little change in the graph. I took out the two Mario's that where there and I added Spiny there instead. ...but size can vary based on yarn and hook size. 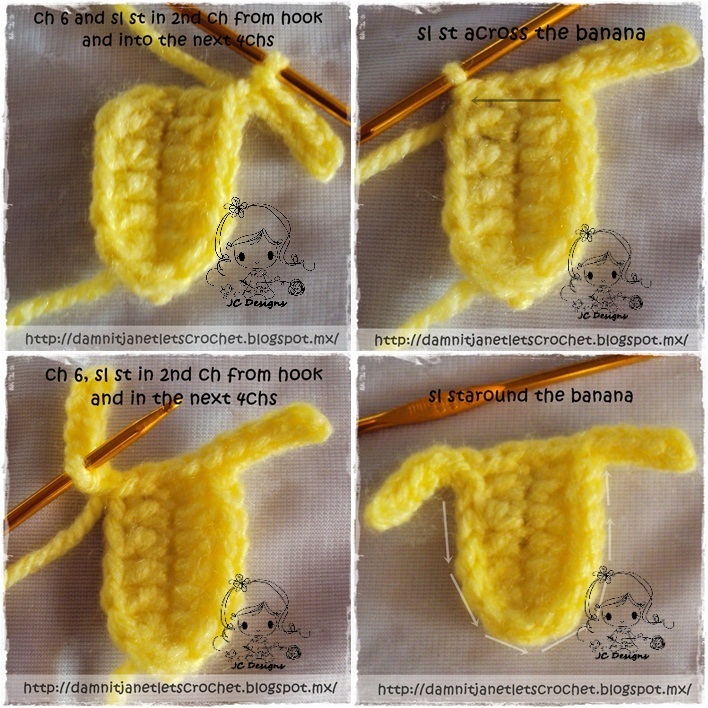 Picture tutorial on how to make row 2. Click on image to enlarge. Sew the top part behind the bottom part. 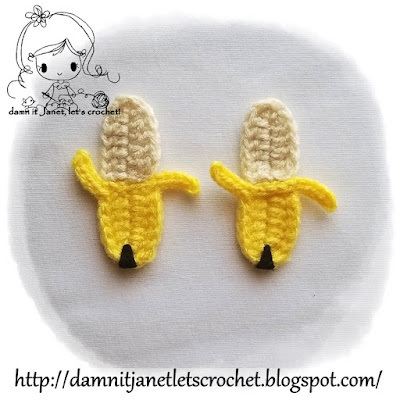 With black felt, cut a triangular shape and sew/glue it in place at the bottom of the banana. the one in the right I embroidery the seeds with white yarn. The strawberry measures approx. 2” inches from its widest point and 3" long but size can vary based on yarn and hook size. Sew the stem to the back of the strawberry (in the middle of the big round part). Sew the leaves together. Afterwards sew the leaves to the strawberry. Embroidery the seeds with white yarn or you can use some really tiny little white beads for the seeds. If your going to make it into a fridge magnet glue a small magnet in the back.